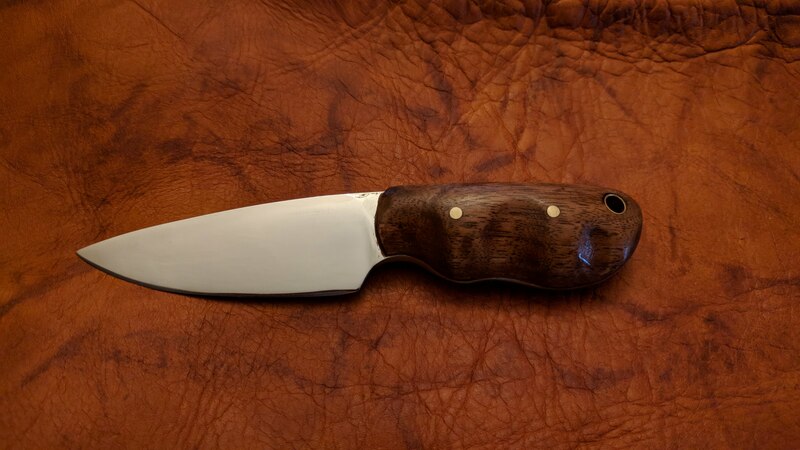 Here’s the first blade I’ve made (this decade) for a customer. 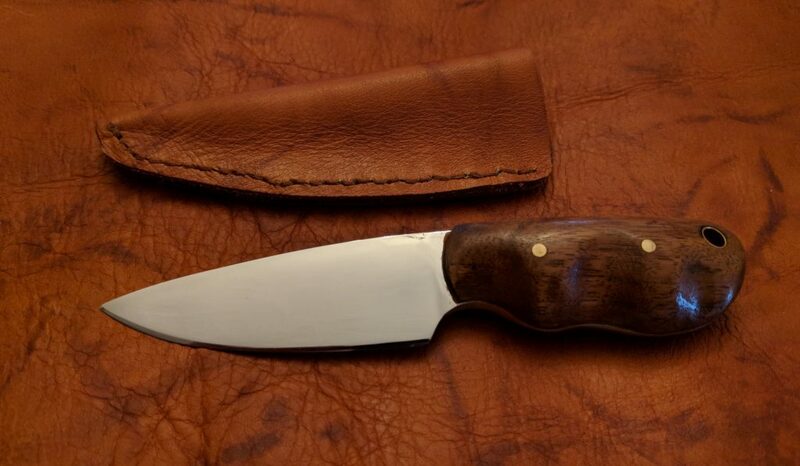 6″ overall length with black walnut used for the handle. Steel is 5160 from a leaf spring. The blade was buffed out to a mirror finish a couple of days ago. I also had to do a good amount of sanding on the handle (on the side showing) to get the finger grooves added. It also took a bit more work than I had expected to put the lanyard hole brass tube into the blade. I was able to get that in once the handle was profiled more. Of course, the inside edge of the tube was a bit sharp, so I touched it with a countersink to bevel the edge. Handle was treated with layers of shellac that was then sanded between. The final sanding, before a last (very thin) coat was with 1500 grit wet/dry paper. Then the final coat was applied (with a Q-Tip) to make sure it was only applied to the wood, and I didn’t get any onto the steel. Additional picture with the sheath that I also made for the blade.